The news last week around General Motors’ layoffs and plant closures was grim, both in terms of American manufacturing’s future and the local economies that rely on that future. 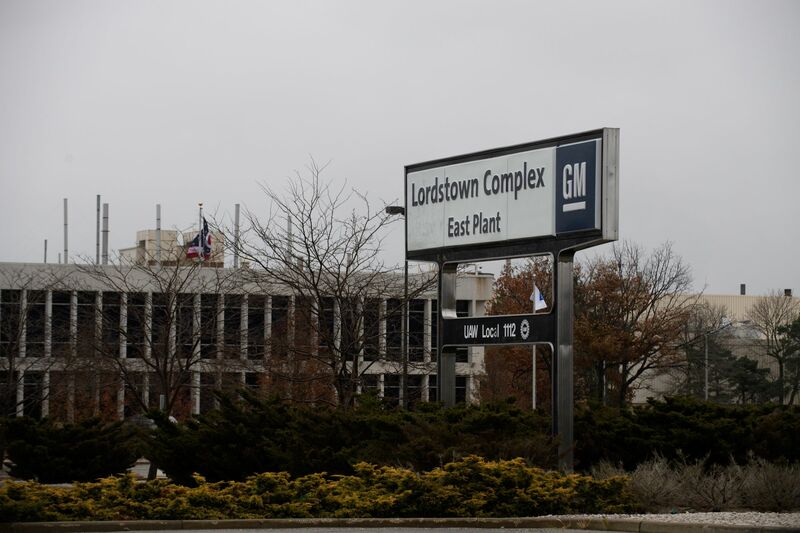 With five factories closing and 15,000 workers out of jobs, GM’s decision highlights more than just empty campaign promises and shifting market demands for cars — it points out the downsides to local economies relying heavily on manufacturing. It also illustrates what happens when policymakers and local community leaders invest significant resources in keeping manufacturing around, even in the face of automation and a global supply chain. Clearly, rising and falling based on U.S. manufacturing potential isn’t in the best interest of many American cities or constituents. But shifting the economic structure and industries of cities and towns is by no means an easy task. These cities and economies have grown around plants and factories, creating significant dependence often on a single company. Changing this requires significant investment on the part of a city, both in terms of major civic changes to attract individual businesses and industries, as well as building climates that are ideal for attracting economic activity in general. Creating a climate that’s ideal for economic development starts with understanding what kind of foundational changes are required to begin with. In a country that suffers from a skills gap (despite record low unemployment), the first stone to turn is education. Revamping community college and vocational curriculum offers one of the best opportunities to tackle middle skill jobs that require more than a high school education but less than a four-year degree. These jobs account for nearly 50 percent of employment across the country. In Ohio where a GM plant is scheduled to close, more than 50 percent of jobs are middle skilled but only 47 percent of the population has enough education to pursue the opportunities. While federal workforce development initiatives have suffered under President Trump, there are still grants and funding available to invest in the advancement of educational programs. Other alternatives and credentialing exists through digital courses that could provide newfound opportunities for residents. The lure of digital education for remote or educationally-limited environments brings up one of the most important conduits for success in the new economy – broadband connectivity. The United States boasts some of the most innovative companies in the world, yet 24 million Americans are without broadband access, according to the FCC. The number is even higher – limited and poor quality mapping data is used to determine whether large numbers of rural Americans can capably use the internet. Elevating broadband, much like workforce development, requires investment and partnerships at the state or federal level to bring public/private incentives into alignment. Pressure from local elected officials, as well as state and federal representatives, can accelerate the time table for widespread broadband access, opening the doors for digital businesses run from anywhere. The reality is that broadband access can bring opportunity into a community from digital marketplaces and outside revenue sources, in addition to being an attractive resource for businesses looking to relocate. Some cities are creating incentives to attract highly skilled individuals. Tulsa announced in late November a program offering $10,000 to remote workers and entrepreneurs who move to the Oklahoma city. This kind of incentive-laden program serves both as a carrot to bring people to a city while sparking a “network effect” to attract new residents who also boast a diverse set of skills. Encouraging independent and remote work brings unique skill sets into a community. With a large percentage of freelance work still coming from referrals or word of mouth, the benefit to local businesses is extensive. Tulsa’s program takes advantage of private partnerships, but it’s not the only one. From New Haven, Connecticut to St. Claire County, Michigan, cities have found unique, creative and compelling incentives for residents and newcomers to invest in the local economy. While we’re not specifically talking about a cornfield in Iowa, it’s tough not to paraphrase the banner quote from “Field of Dreams”: if cities and towns deliver civic benefits to their residents while building unique programs to entice a diverse set of workers, they will come. The upside can be huge, creating local economies that offer a diverse economic landscape that avoids dependence on a single employer. That not only equates to competition and opportunity, it offers longevity and future-proofing regardless of what major automotive or manufacturing giants do.